2016 should be an era of VR (Virtual Reality) which has triggered an incredible storm around the world. Virtual reality artificially empowers you to interact with some devices for an immersive and sensory experience. These days there are many advanced and popular media players available for the Androids such as VLC and MX player, but these does not support the playbacks of VR. Due to the rising craze of VR, various VR devices like Oculus Rift, HTC Vive, PlayStation VR, Samsung Gear VR, Google Cardboard, etc are springing up to meet different levels of requirements for customers. To play VR videos, you still need a virtual reality player. So here are the best 8 free VR video players for multi-platform and a simple guide for VR with Android/iOS and other mobile. It is very easy and simple to use this VR player and it can also play several formats. You can play 3D, 2D, 3D SBS, top/bottom videos on your devices. It can also play 360-degree videos. 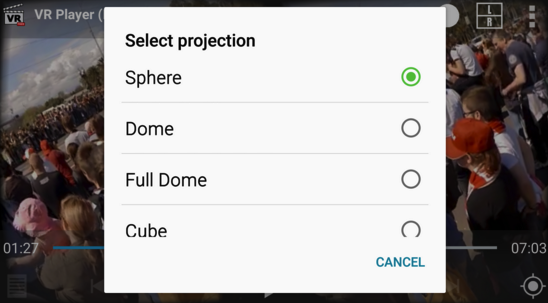 There are several methods of projections which are present in the player like Dome, Sphere, cube etc which gives users 360 degree theatre experience right on your Smartphone.Click here to Download VR Player Free from Google Play. AA VR cinema is another great and free solution for android users. There is a wide range of options available to play 360 as well as normal 3D VR videos. The best thing about this VR player is the head tracking system. It is the most appreciated feature among the users. It is a great technology because the player tracks the drift movements of your head. Without the need of the Gyroscope sensor users can easily watch VR videos if you are having AAA VR app. This is simply amazing. The host of the feature has some more good news for the users and that is you can watch 360 degree playback, 180 degree panorama which the majority of the apps does not provide in there features.Click here to Download AAA VR Cinema for Android from Google Play. This is similar to the app VR player, but its user interface is modest, but the minimalist and clean user interface works great when it comes to the playback smoothness. It provides almost all the features, which are required to play VR videos like cube, dome, cylinder, which are projection types. It also supports 2D video playback along with the 360 and 3D VBS formats. The best feature is the fish eye mode, which is under the projection tab. this mode, will let you split videos in such way that it does not strain your eyes as much as possible. You just have to make sure that it is adjusted accurately between the VR headset and pupillary lenses. This feature has made it one of the great VR cinema players on our list.Click here to Download VRTV Free from Google Play. This player comes from the VR headset and there are several features which users will be able to enjoy. It can play 2D videos, VR videos, 360 SDS formats and can also project normal 2D videos as the 360 videos if you select the option. The outcomes depend upon the type of the video you select, but it is also possible to set it at 360 resolutions. Besides there are some other great features such as inbuilt browser with which you can surf the internet on cardboard. Click here to Download Homido 360 VR Player from Google Play. Homido itself is a VR headset maker and it has its 360 VR Videos player app too!. The Homido 360 VR Player is a really cool app for iPhone users to watch 3D SBS & 360 VR Videos. It help iPhone users to play 360 VR videos, 2D videos and 3D SBS formats. This 360 vr movie player also works as a SBS browser to watch 360-degree videos from YouTube, Vimeo, iTunes etc in 3D SBS mode on iPhone. The Best thing about Homido VR Player for iPhone is its inbuilt Video Player as well as its unique SBS Browser . By using the inbuilt browser, you can use Internet even in your VR Headset and watch videos from Youtube , Vimeo in 3D Side By Side mode on iPhone. Click here to Download Homido 360 VR Player from iTunes Store. Mobile VR Station is another alternative or similar app to Homido 360 VR Player. It perhaps has even more features than Homido! 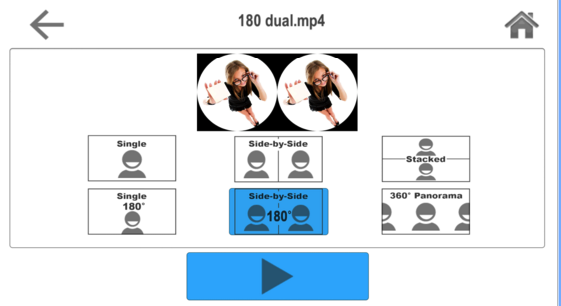 Not only you can use it to view 3D Side by Side videos on Videos. You can even watch normal 2D Videos inside it and it provides a great enough experience courtesy of its inbuilt “eye mode”. The Head tracking is pretty solid and the surround sound support makes it uniquely a theater experience. Click here to Download Mobile VR Station for iOS from iTunes Store. Carl Zeiss one of World’s best lens maker recently came out with a VR Headset and Carl Zeiss VR One Cinema app comes directly from the company. 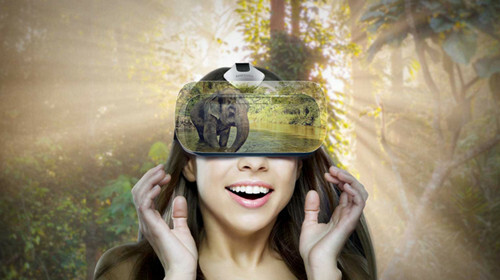 The App works with almost VR Headsets such as Google Cardboard, FreeFly VR, Agnus VR on iPhone series and gives a virtual cinema hall experience for viewing videos. Its perhaps the easiest apps we came across to view VR Videos, but it downscaled the Videos while playing them. Hence, it stays third on our list until we find a good app. Click here to Download Carl Zeiss VR One Cinema App from iTunes Store. So these are the best Free VR Video players for iPhone 4S, iPhone 5 S & work with iPhone 6/6S Plus too. Do let us know if you encounter any issues or come across any other such good VR Player. Part III: How to Watch VR Videos Easily? 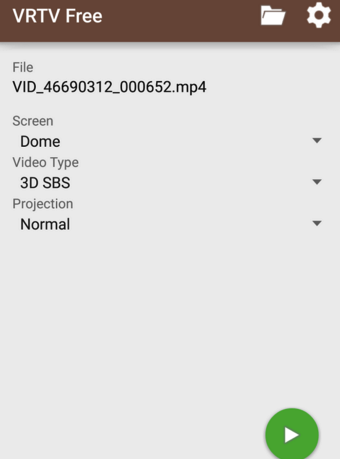 Pavtube Video Converter Ultimate – to convert 3D in all kinds of video types including 3D Blu-ray and turn them into 3D SBS MP4/MKV so that you can play the SBS video on your Android media player on Gear VR, Oculus Rift DK 2, ZEISS VR One, Google Cardboard.